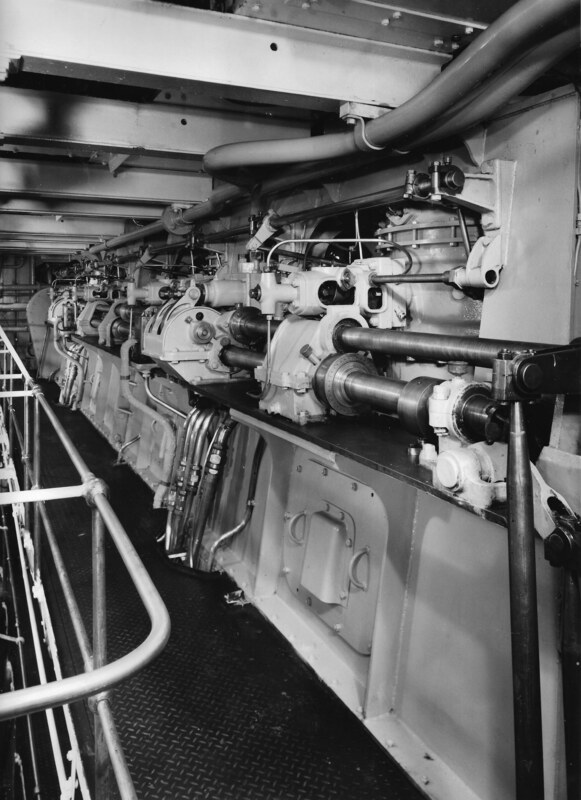 Looking aft along main engine front camshaft platform. 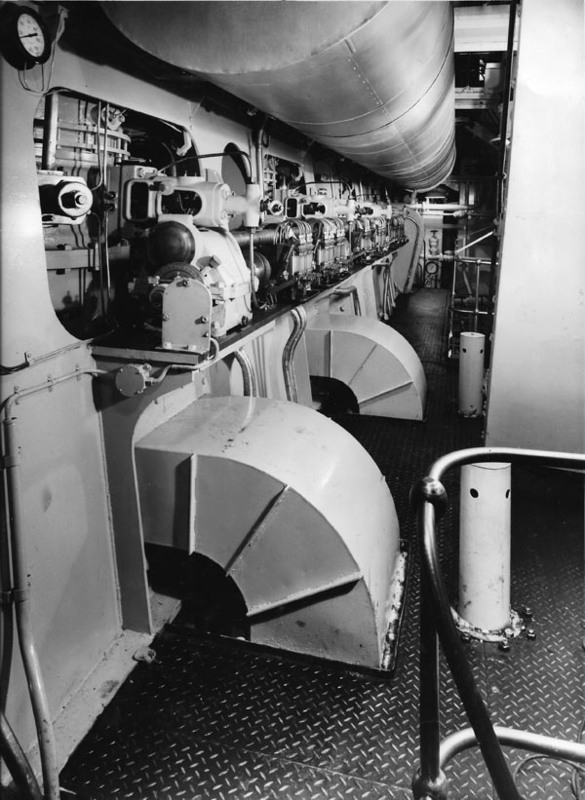 Looking aft along main engine back camshaft platform. 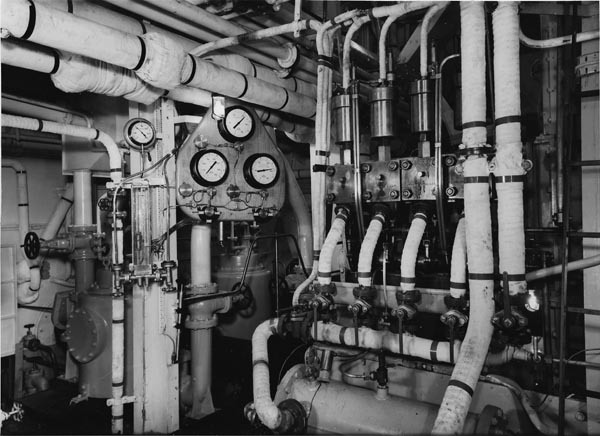 Aft end of engineroom, showing Negretti & Zambra fuel tank contents guage board, sewage disposal plant and main engine fuel pumps.